It’s ‘Get Up and Get Out There,’ week on Humans With Faith. We’re cramming three episodes into seven days. Three conversations focusing on physical health that I hope will motivate and activate us to get up and get out there. First up is today’s guest David Field. 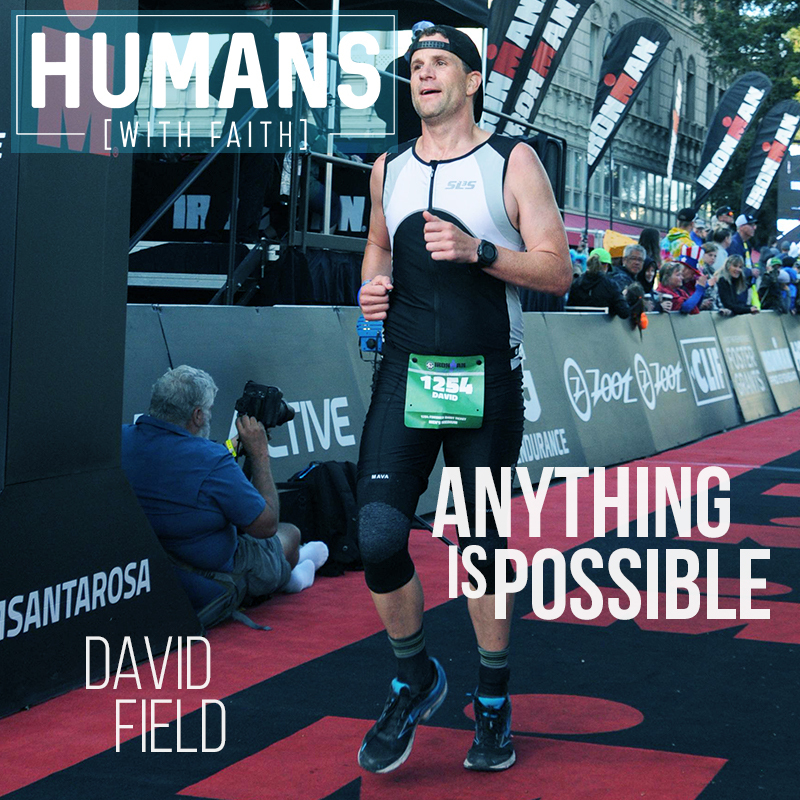 Recently completing his first Ironman competition, David has some great things to share about what it takes to do something that many of us might think is impossible.